I’m reading ‘The Shack’ by William P. Young, again. Yes, it’s that profound. Not just good, PROFOUND. I encourage you read it and then keep in your library … you can find it in paperback for under $8 and on Kindle for less that $5! Follow the link above. Quickly, I want to address what we think about God’s parenting style in our hard times. Being what is considered a ‘mature’ Christian I rarely blame or question God. I was awed to discover that I didn’t blame or question God when The Hubs was diagnosed with lung cancer. I did all the things people do when they are presented with the grave, worldly understanding of such a diagnosis. My head spun, my eyes became water spigots and my heart dropped and ached terribly, for the longest time. I slipped unhindered into a cavern of fear. It was dark and cold and I’d wake in the middle of the night just to check if he was breathing; when even the night before the diagnosis this was not a question in my thought processes. Now (or I should say then, it was over a year ago) it was a constant concern. But I never questioned God on the why. I just prayed, at first, that desperate wife’s prayer for healing, explaining to God how I couldn’t imagine living without this man he created for me. How I’d want to go with him. That there was nothing left here for me if he was gone. And then it changed, the prayer changed, when I came out of that tailspin. I began to pray the already received promise and thank God for our life so full of blessings. I don’t recall how long it took for the transition I speak of. But it came and I began to move forward, purposefully. “Then how come he’s so mean?” Missy. She goes on to question why Jesus was made to die on the cross. SAVED us from our sickness. I knew this all along. I knew it when they presented the diagnosis. I knew it in my tailspin and I knew it when I came up for air. But deep down; did I question God’s logic in all of this? Jeremiah 29:10-13 10 For thus says the Lord: After seventy years are completed at Babylon, I will visit you and perform My good word toward you, and cause you to return to this place. 11 For I know the thoughts that I think toward you, says the Lord, thoughts of peace and not of evil, to give you a future and a hope. 12 Then you will call upon Me and go and pray to Me, and I will listen to you. 13 And you will seek Me and find Me, when you search for Me with all your heart. For me, this speaks it all, and it’s my husband’s scripture. This scripture has been spoken over my husband by many preachers, many who didn’t know him at all. And it’s the Jeremiah 29:11 always left my husband bristling. =) Not anymore! God is saying right here, I will visit you in your illness [Babylon] and I will perform My good word [the promises] toward you and I will return you to this place [Divine Health] … for I know what I’ve planned for your life and the plan is good and will give you a future and hope! … and so much more. This scripture is so deep! I am reassured by it. I know Daddy is not mean, that this illness is not His design for our lives. We don’t allow the illness to define us as a family, The Hubs as a person or our lives going forward. We live our life in forward motion, as though nothing is amiss. We don’t question God about it. We know that like the rain and snow, we were sent [born] and will not return until we have done our work, planned by the Father, for the kingdom, that He planned for us. We will fulfill our Kingdom Destinies! And nothing can stop that. Though we do ask when it will stop; the chaos that comes with this malady. I think that’s a different question. We call on Him for answers and we pray and He listens. We seek and we find Him because we search for Him with all our hearts, everyday. So, my question: Are you blaming God for somethings? Are you asking Him why in regard to something or some circumstance in your life? Know this. Today. Right here. If it’s a bad thing it is not of God’s design for your life, but He will use it so that you come out of it SURE of His presence and love and stronger for the test! Thanks for reading. Give me your ‘few words’ about where you’re at today with God’s parenting of you in your life. I’d love to share this quiet day with you. Categories: A. Hutchinson - Writer, A.Hutchinson Photograpy Art, Believing God, Blessings!, Cancer Event, faith, Few Words Thursday, Guidelines for Living, Health and Healing, Intentional Living, Living on Purpose, My Journey, My Men!, Prayer, The "C" Word, The Character of God | Tags: cancer, God, Holy Spirit, Jesus, My Journey, questions, The Character of God | Permalink. 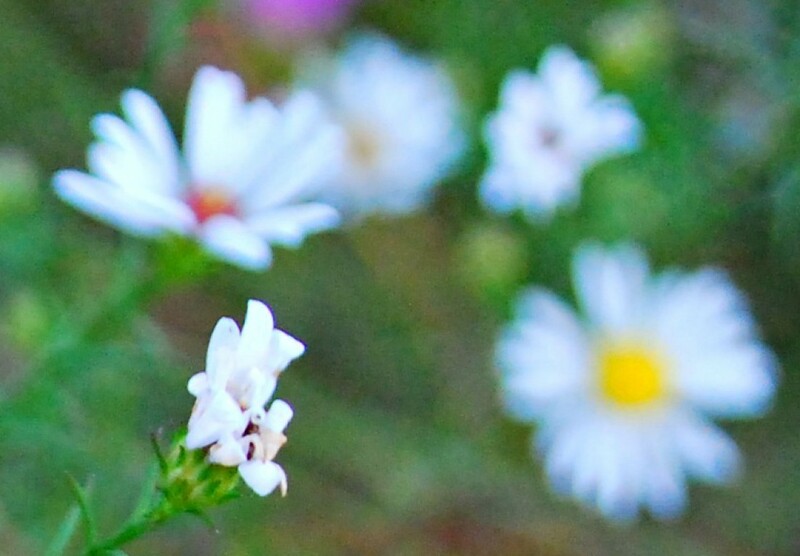 SharingThursday’s Blessings on Saturday| A Friend’s Heart. 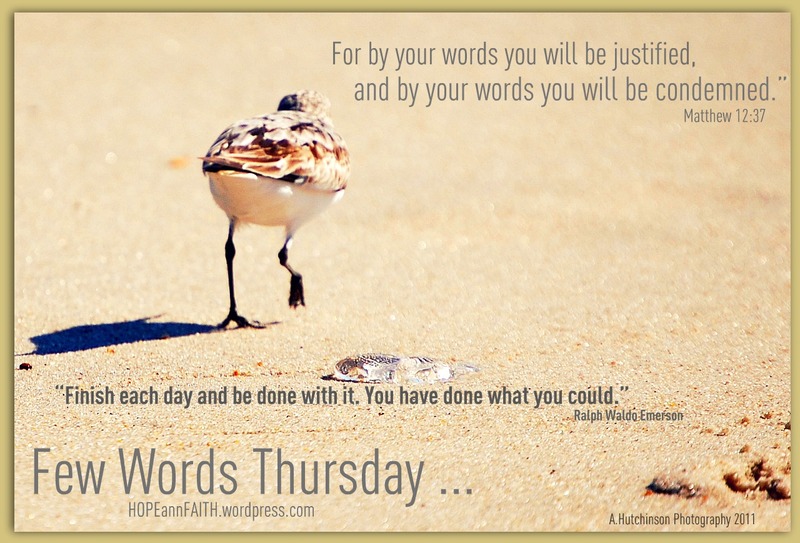 On Thursday I started posting my Let My Words Be Few Thursday posts again. After the 31 Day Writes challenge ended I really thought I was going to fall into a writers rut, or just not want to write for the daily battle to wordsmith. A challenge I chose and one I didn’t realize would impact my desire to write in quite this way. I guess Nester knows exactly what the challenge does to writers and why she puts it out there every year! Anyway, back to Thursday. I encouraged you all, my friendly readers, to join me in the theme; not as a link-up just yet, but in the comments. I do it this way because as the intro page will tell you, I didn’t have much success, 3 years ago, with the link-up. I really started FWT to get closer to God in a quiet creative way. Saying and putting my faith out there, to you sweet reader, in the quickest, most profound way possible. And I wanted to inspire others and have them participate. I have ALWAYS wanted to be one of those writers who “said” very little while rocking your thought processes. You know, the quiet write that everyone quotes! That was not meant to be, and it may very well be exactly the same this time. But I am not the same. I am vastly different today. Yet I still want to have these Thursdays be a designated quiet reflection and writing (creative time) with God. For me. And for you, if you’d like to join me. Thank goodness that I am over that selfish desire to be recognized in that way. Now I just want to be able to get you a look at a piece of my relationship with God in a short, concise, profound manner that anyone with a moment of time has the time to read. I want my relationship with God to shine so brightly in your mind throughout your day that it leads you to your own, personal quiet time with Him. I want you to see God. Want God. And to know that He sees YOU and He wants YOU. So I promised to post one of your comments each week on the weekend, or as soon thereafter as possible! And here we are, early Saturday morning and I have the urge to write! “Be still, and know that I AM God”….a very short command, but one whose meaning leaves me baffled and feeling rather “un-normal”… on a daily basis. Quieting the noise around me, and stilling my mind, is more often than not, a failed attempt,…failed. The longer and harder I try, the quicker “being still”…leaves me. That photo, bowed down, in complete submission, is where I want to be, for to me, it is in that moment, that physical, spiritual and mental state of being, is where God is, waiting for me. 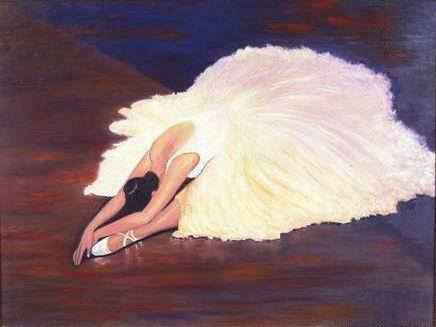 I close my eyes and see the entire dance, the dance I preform for my King, movement, twirling, spinning…but always in motion..it is at the end, bowed down, that I know my King awaits to speak to me, to have fellowship with me, to lavish me with His love and Holy Presence… and I can’t get there. Music stops, movement stops, and my mind rushes in. I don’t want to dance anymore, I want to get right to the end …I want to get so lost in Him that I only hear Him, feel Him, see Him, ..Lord, I just want You. God, are You there? Do You hear me? My world is a mess, I need a rest, and I can’t find my way to Him…. My friend and I talked and prayed after I read this and she’s feeling better. Still pressing in to God. I just loved that she felt free to express her faith, her longing, right here in this place. I do hope this moved you to press in to God and express to Him your desire to be in His presence today. God Bless. Thanks for reading. Categories: AHutchinsonWords, My Journey, Prayer, Pressing into God, Relentless Faith, Sharing Thursday's Blessings on Saturday | Tags: God, My Journey, Prayer, Pressing into God, Relentless Faith, Sharing Thursday's Blessing on Saturday | Permalink.